Yes, This Is A Friskies Commercial. But Trust Me, It’s Hilarious. Cat and Kitten are back, and this time there's a new member of the household! 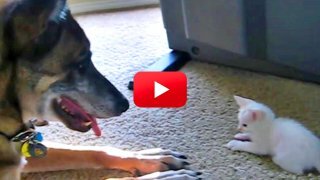 Hear Cat's sage advice to his young counterpart about their new furry friend. Hilarious!